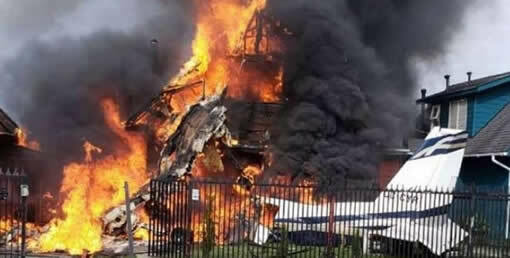 Details: While the aircraft was in the initial climb, plane lost height and crashed in flames into a house located in a residential area about 400 meters from the airfield. Details: The internationally scheduled airliner crashed 6 minutes after taking off from Addis Ababa-Bole Airport. The pilot sent out a distress call and was given clearance to return to the airport. 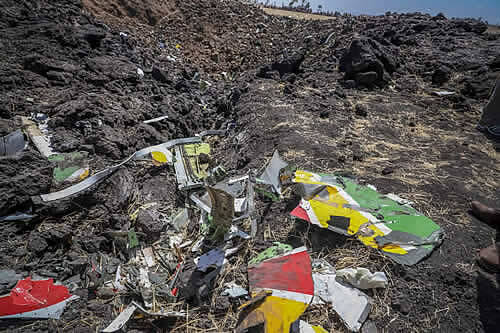 The crash site, some 31 miles southeast of the airport, contained a smoky crater with small pieces of wreckage. All 149 passenger and crew of 8 were killed. Details: While on approach to land, the crew contacted ATC and declared an emergency after which the airplane crashed in flames in a palm grove, 35 km south of La Vanguardia Airport. Details: ATC lost radar contact with the cargo jet when it was 30 miles southeast of George Bush International Airport. The plane crashed into Trinity Bay and broke apart in muddy water about 5 feet deep. E-mails with questions, comments or corrections are welcome. Lost an engine after take off. Dropped 20,000 ft. in 4 minutes. Struck a sign during takeoff. Loss of power to computer screens. Smoke in a cargo hold. Heat detected in cargo hold. Belly landing, plane on fire. Possible blown nose gear tire.